I have recently had the pleasure to review the book Changing Diapers By Kelly Wels. If you have never heard of this book then you deffinatly have to check it out if you are thinking about cloth diapering or you are already a cloth diapering mom. It is packed with great information about cloth diaper 101 basics to how to wash your diapers. It also goes thru and talks about the differnt types of diapers that you can choose from and how to use them and put them on. There is a check list of the items for will need it starting to cloth and I really like that. There is also a section for you mama's who have multiples. I am really loving this book and I have been searching the internet for lots of questions that I have about cloth diapers but this book has it all! No more searching I love that it is all in one spot. What a great shower gift for someone who wants to cloth diaper this book and a cute diaper would make a great gift. Click here to Visit Changing Diapers Book to purchase this book for yourself or for a friend. You will love this book. 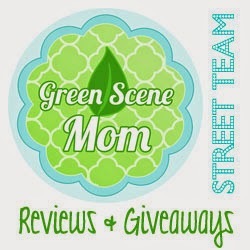 The nice people from Kelly Wels are also hosting a giveaway! One ”I’m a Hip Mom and Love Cloth Diapers”Eco-Friendly Tattoo?